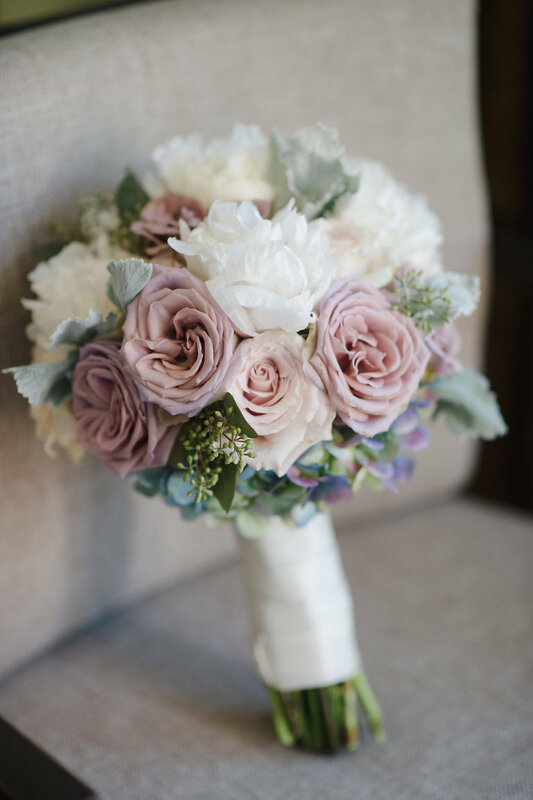 Jen and Ben’s destination Clearwater Beach wedding featured a soft, romantic color palette with pastel shades to enhance the ambiance of their beachfront nuptials. With the vision of creating an outdoor sanctuary on the beach, perfect for an intimate, destination wedding, the Houston couple hired Clearwater Beach wedding planner Parties a la Carte. 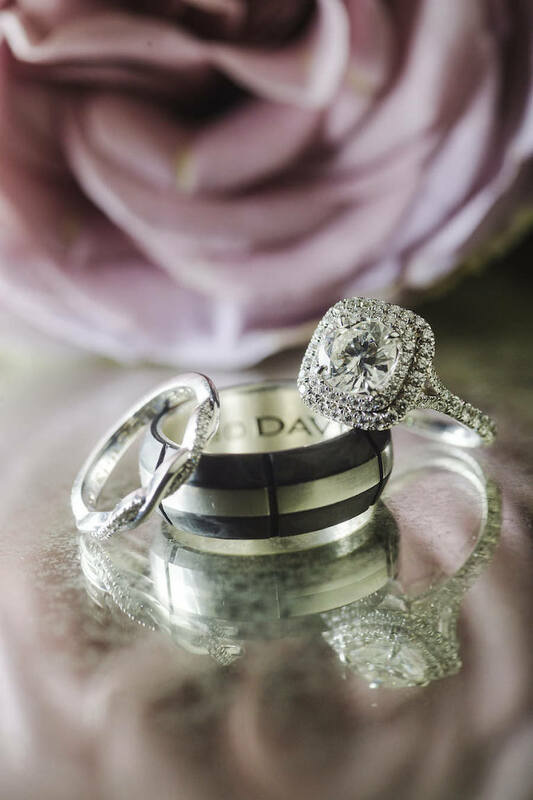 Going off of recommendations from their wedding planner, the couple hired Clearwater Beach wedding photographer Marc Edwards Photographs. Tampa Bay wedding cake bakery Hands on Sweets designed a special dessert for the reception to symbolize the couple’s first date. “Hands on Sweets was great. We specifically loved that they were willing to do a cheesecake plus red velvet cake for the groom’s cake. Our first date was over cheesecake, so it had a special significance to us,” the bride shared. Looking back, one of the bride’s most memorable moments was the final dance. “When the guests were gathered for the grand exit, the DJ played our song, No Matter Where You Are by Us The Duo, and we got to dance on the floor, just us, no one watching, and really take in those last few minutes before the sparkler exit. My father then drove the boat around the island under the Super Moon and really let us take in the evening, the salty air and just sit in the moment. Weddings are always so rushed, so to have that time to connect at the end, and then reflect someplace as peaceful as on a boat, surrounded by islands and the big beautiful moon, that is something I will remember and cherish forever,” the bride reminisced. We chose wedding colors because our planner told us to. We wanted soft colors for the beach: whites, blues, dusty rose and soft lavender and the same colors for the wedding, but with pops of richer colors like pink, navy and purple . 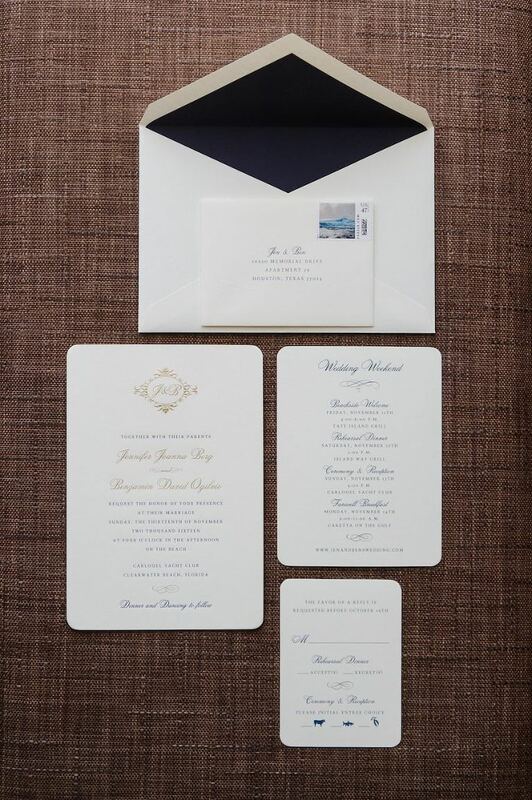 We also liked a lot of metallics: silver, gold and mercury and different shades of white, ivory and cream. We were walking along Lake Tahoe the morning of New Year’s Eve before heading to the slopes at Squaw for the day. The beach was covered in snow, and it was very peaceful. We were walking and talking, and then Ben fell behind. When he didn’t immediately catch up, I turned around to see what was up, and he was down on one knee. Turns out he had planned to propose at the hotel on the mountain later that night and had coordinated with the resort staff and everything, but it was such a naturally intimate moment alone on the beach he decided it was just right. What did you look for in a wedding photographer? Someone who was available, took beautiful photos and who our planner recommended. Marc’s portfolio [of Marc Edwards Photographs] stood out among the three options our planner gave us. Marc beautifully captured the personality of each couple in his portfolio in both an artistic but also “real” way. He was fantastic to work with. Marc flew to Houston for our engagement photos, and we were blown away with the variety and images he got in two evenings of shooting. I think he really captured us as a couple, both the youthful and “spunky” and the more sophisticated and mature. 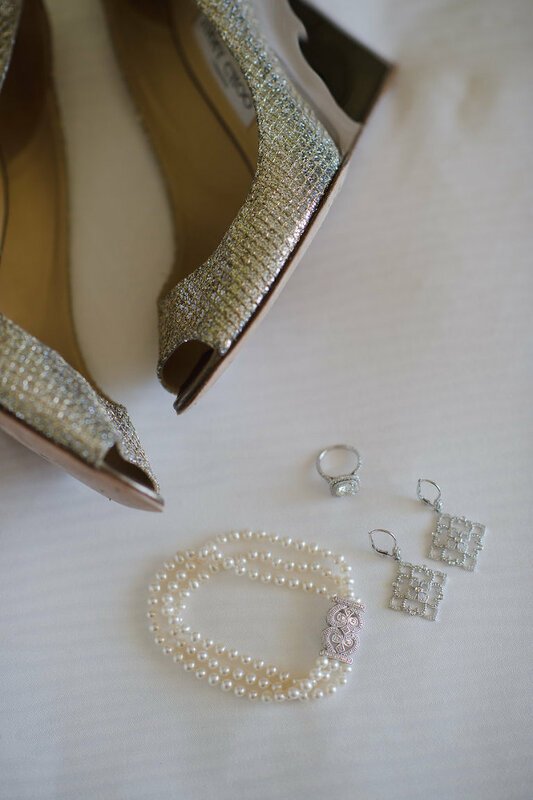 The wedding photos were absolutely beautiful; we cannot wait to see our final wedding album! Once we selected the venue, we asked the coordinator who she loved working with the most, and she highly recommended Jessica Ralph of Parties a la Carte. I loved Jessica’s candor and competence. She and her team went above and beyond in every way imaginable. She saved us money between her negotiating prices and saving us from making mistakes. Jessica managed everything until the wedding, but also managed many unavoidable day of crises with grace, patience and a positive attitude. She really makes the entire day about the bride and groom and not about her. What did you look for in a wedding bakery? Hands on Sweets were great. We specifically loved that they were willing to do a cheesecake plus red velvet cake for the groom’s cake. Our first date was over cheesecake, so it had a special significance to us. Do something with your wedding dress! I was so sad to think about my beautiful dress sitting in a box never to be worn again, so I altered it and made it into a cocktail dress! Hire a good wedding planner. I am pretty confident Jessica of Parties a la Carte saved us money between her negotiating prices and saving us from making mistakes. There are so few occasions when all of your loved ones can be together in one place, weddings and funerals, right? Cherish those moments with each and every person there. Be open to a Sunday wedding if you have less than a year to plan. I do not think we saved money having a Sunday wedding, despite what lots of people for some reason assume, but we did get the venue and many of the vendors we wanted who would otherwise have been booked. We had a small wedding, but no guests chose not to come because it was on a Sunday instead of a Saturday. It is okay if you do not have a vision for your wedding yet; it will come and it will evolve. I had no idea what I wanted, outside of the “most important elements,” and it is ok if you don’t either. Just trust your gut along the way, and ask for forgiveness (many times) when you drive your wedding planner crazy. © 2019 Marry Me Tampa Bay | Local, Real Wedding Inspiration & Vendor Recommendation & Reviews|ProPhoto Photography Template|Design by Northfolk & Co.